Reiki tables borrow elements from massage tables, however they aren’t one in the same. 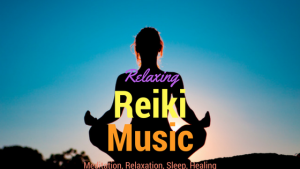 Since Reiki does not involve physical touch or bodywork, the same way as, say deep-tissue massage, some massage tables feature bells and whistles that aren’t always necessary when selecting a quality Reiki table for practitioners, Masters or energy healers of any experience-level. 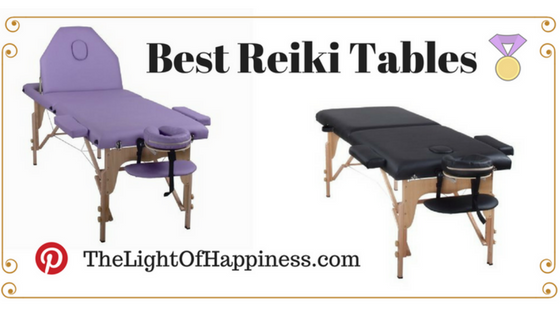 After thoroughly reviewing the best Reiki tables on the market, you’ll be ready to select the one most suitable for you and your Reiki practice. Heaven Massage Two Fold Portable Massage Table Review: This is the perfect table for either the beginner Reiki practitioner or a Reiki master on a tight budget. The Heaven Massage Two Fold Portable Massage Table is one of the lowest-cost tables on the market and has several helpful features that more expensive, luxury tables and table packages include. For this incredibly affordable price, the Heaven Massage Two Fold Portable Massage Table is portable and fairly lightweight at only 20 pounds. The Heaven Massage Two Fold Portable Massage Table is also ideal for your heavier and taller clients: it can withstand up to 450 pounds and can comfortably accommodate clients who are over six feet tall. It’s easy-to-clean PU leather is water and oil proof, which makes it easy to clean and safe to use for practitioners who like to incorporate essential oils and flower oils into their practice. It also comes with a carrying case and adjustable headrest. EarthLite Harmony DX Portable Massage Table Package Review: This table is a hotel and healing center favourite for a reason. This model features a high-quality maple and birch construction with extensive cabling, which enables it to withstand up to 600 pounds of weight. The EarthLite Harmony design also guarantees a longer table life, especially if you see a high volume of clients in a single day, week, month or year. Its thicker padding and adjustable headrest allow for client comfort, especially for longer healing sessions. As a package, it also includes a cushion and carrying case with a strap and weighs 34 pounds. If you are worried about durability, EarthLite has a three year warranty for the whole package. Master Massage Santana LX Portable Massage Table Package Review: The Master Massage Santana LX Portable Massage Table package is a beautiful investment and / or addition to a healing center. Its beautiful, sunset color and memory foam design evoke a warm and comfortable environment for your client. Practitioners will not only appreciate its sturdy, Birchwood frame that allows up to 350 pounds, but also it’s “Reiki Panels”, a unique feature which allow a practitioner to heal their client without the table legs or middle supports getting in the way of their legs and knees (especially if you prefer to sit). Although the Master Massage is a bit steep for its price compared to other tables, it offers an incredibly comfortable experience for your client. As a Package, it also includes a portable and adjustable head rest, carrying case, arm rests, and cushions. Oakworks Symphony Portable Massage Table Package Review: This table package from Oakworks features thicker padding and state of the art cable supports for a comfortably and incredibly strong portable table. Despite its thicker padding and ability to support up to 800 pounds, the Oakworks Symphony model is relatively lightweight and easy to fold when not in use. This package not only includes a head rest and carrying case, but also comes with upholstery. The Symphony also comes in a beautiful range of soothing colors, such as Lavender, Ruby, and a Sea Green. 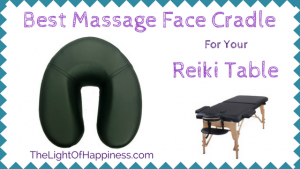 Best Massage Black Reiki Portable Massage Table Review: This is an incredible package that not only has every single essential feature you would want for a quality table, but also comes with some neat accessories and a long-term warranty! This Heaven Massage table is portable, can tolerate up to 450 pounds, and features a comfortable memory foam upholstery. It allows you to adjust the height; and, comes with supporting adjustable head rests and arm rests for maximum client and practitioner comfort. The bundle includes a removable head rest, arm rests, fitted sheets, a bolster, oil pouch, towel hanger and a portable bag with comfortable straps. Weighing at 45 pounds, this BestMassage package also includes a five-year warranty. Dr. Lomilomi Ultra-lite Aluminum Portable Massage Table 302 Spa Bed with Carry Case and Cover Sheet Set Review: Weighing at only 25 pounds, this is the lightest portable Reiki table on the market. Made of hybrid wood and aluminum, this table can withstand up to 300 pounds of weight and is the lightest tables to fold and store away, making it ideal for the traveling Reiki practitioner. Although it does not advertise itself as a package, this table comes with the additional must-have features, such as a head rest, fitted sheet, and carrying case. Master Massage Review: This Master Massage table is the most expensive table on the market but does not offer the same quality features as some of the previously reviewed products. It’s exclusive aluminum design doesn’t exactly allow for a safe and sturdy brace to withhold 650 pounds without it shaking and creaking. Additionally, this Reiki table doesn’t fold easily enough and it’s frustrating to keep dismantling and assembling over time. Since a massage table for Reiki should be viewed as a long-term investment and a fundamental tool of your trade, it’s best if you skip this one. Congratulations! 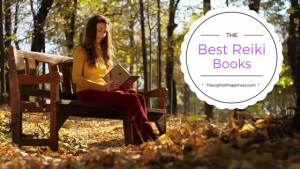 If you are reading this review, you’re already considering an essential tool for your practice: investing one of the best Reiki tables on the market. Whether you are a seasoned practitioner, Master, or a freshly graduated Level I practitioner ready to begin working with clients, the most essential tool for your trade is a comfortable, easy to use table for you and your clients. A relaxing and supportive environment is ideal for a powerful, healing, and transformative Reiki experience. 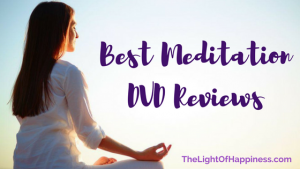 Your healing room, or meditation space, is most likely curated with soft and soothing colors, scents, sounds; and, a supportive resting table for clients to receive treatment. Clients want to feel soothed, safe, and supportive during their treatment. Since many clients feel extremely relaxed (and, sometimes even fall asleep during treatment), the Reiki table should be like a good mattress: strong, durable, soft, long lasting, and easy on the wallet. Your client’s physiological and psychological needs drive what type of table works best for your practice. Additionally, your needs as Reiki practitioner also factor in to the type of features you want with your Reiki table. Since many practitioners provide healing in their homes, portable, easy to assemble tables are preferred for easy storage. You will also want to consider your own comfort as you administer Reiki, especially if you prefer to sit or stand. A quality, easy to use table is a core component of your practice and a long-term investment. Be sure to consider the table’s ability to meet your client’s height, weight, and comfort levels as well as your preferences for adjustable height, portability, and additional accessories that are essential to your unique practice. Happy healing! Adjustable Height: not only do Reiki practitioners have a unique method for healing their clients, but they will also be at different heights in relationship to their client. Administering Reiki requires you to comfortably extend your hands and arm. Depending on your client’s height or your own preference for sitting or standing, you’ll want to consider a table that is height adjustable. If you see multiple clients back to back, the option to adjust the table so that you can sit for a few sessions is a nice luxury for your own comfort. No one wants to keep shifting their weight as they are working on their client or feeling distracted by discomfort in not be able to fully reach your clients’ head or back, for example. Portability: most tables are portable; however, you’ll want to consider how the tables are portable. For example, some tables have additional knobs, springs, and aluminum features that allow them to be set up quickly, however, this efficiency usually comes at the cost of having a heavier table. If you are a home-based practitioner, you’ll also want to consider a table that has built-in handles on the side, is lightweight, or comes with an easy to use carrying case. Comfort: client comfort is essential for a successful, healing experience from a Reiki treatment. Since your client is lying down on their stomach and back for at least 45 minutes, the thickness and softness of the table’s padding are important features to consider. Clients who have particular physical ailments or psychological needs would greatly benefit from feeing like they are comfortable, safe, and relaxed while they receive treatment. Weight Load: clients come in different shapes and sizes and you will want to make sure your table doesn’t shake, creak, or snap based on their weight. Depending on the tables’ materials, some tables can handle heavier weight loads than others.